There’s been controversy about the existence of clones in video games for a long time, dating back to even Tetris vs. Dr. Mario days. Which one is the better one? Should we judge every game sheerly on merit, or does originality count for something? I’ll be honest, I played Dr. Mario years after I played Tetris and I didn’t enjoy it even a little: I just wanted to play Tetris instead. 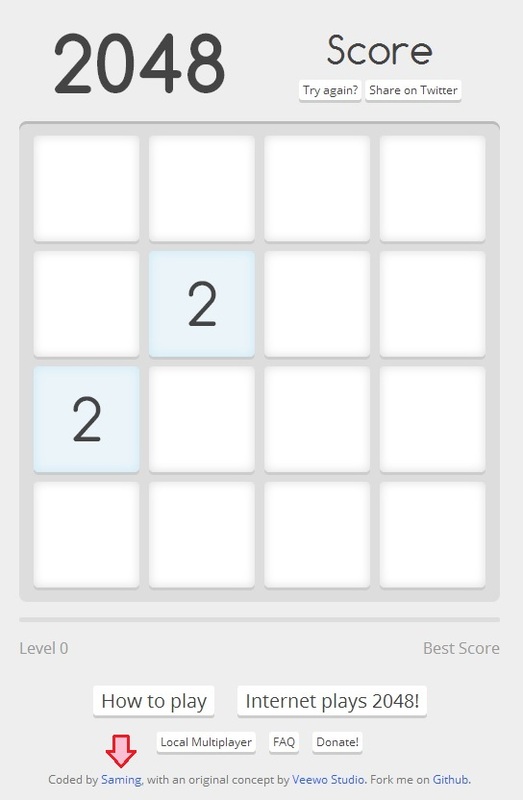 That may be why my reaction to the Threes clone, 2048, is so confusing. After reading this blog post by the makers of Threes*, I became extremely conflicted about my experience of both games. Some context: I downloaded Threes a while ago after hearing about it on the internet. Seemed innocent enough: you slide some tiles around, adding multiples of 3 together. Meh, I got bored pretty quickly, especially since it was a game based almost entirely on getting the highest score (you can win, I believe, but I’ve yet to see anyone actually do it) and those kinds of games aren’t really my cup of tea. I kept it on my phone though, just in case I wanted to dive a bit deeper into it later on. 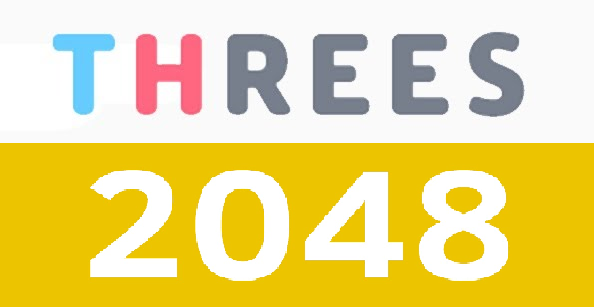 Then along comes 2048. The 2048 I’ve been playing is actually this one, which has an interesting backstory, detailed briefly in an article on Kotaku: apparently, the popular, chart-topping 2048 that I’ve been playing is a clone of a clone. I was aghast, and I didn’t know why. Turns out, it’s because of elitism, in a way. You see, I’d heard about Threes from people that I look up to like podcasters and journalists. They were all about Threes for a while and I heard about it from a lot of different respectable outlets, so I immediately go this feeling of “well, people I like enjoy this game. I should like it, or at least appreciate it.” This happens a lot and I’m not proud of it, but I doubt I’m alone. This all came to a head when, after playing the iOS version of 2048 for a while and loving it, I deleted Threes. I did so guiltily, of course, but I did it all the same. I blindly enjoyed the game until I started to see articles about how terrible it is because it’s a blatant rip-off and how even that rip-off is ripped off something else! Even the original 2048 by Gabriele Cirulli is just a clone of a game called 2048 by Saming, which is just a clone of 1024 by Veewo Studios. In fact, according to an email Cirulli wrote to Kotaku, he feels sorry for the creators of Threes and that he never meant to create a competitor to their product. He claims that he meant it to be purely an exercise in learning for him (something I can sympathize with). Now for the real question: which is a better game, basing your opinion solely on the merits of the games themselves and not the publishing date? Threes co-creator Asher Vollmer claimed in his blog post that Threes was a harder game, which isn’t false. He does say that you can get an absurdly high score by playing the “corner trick,” but my high score was more than double anything I could do with that trick, so there’s that. I will say that Threes does feel much harder, but maybe that’s why people haven’t been playing it. Most of the people playing mobile games these days, if I could guess, are not gamers. There’s a lot of reasons for this, most of them too detailed to go into right now, but it’s true. The average Angry Birds Go player probably isn’t sitting in front of his XBone for sixteen hours on a Saturday playing Dark Souls II. With that in mind, it actually makes so much sense why 2048 is more popular than Threes, despite Threes looking better, coming out earlier, and being touted by the gaming industry as a fantastic game. People want easy mobile games. They want Angry Birds, they want Candy Crush Saga, they want to zone out and not mind that there’s no real challenge there. After all, most people aren’t playing mobile games hunched over their computer or at a desk with a notepad in front of them. In short, people aren’t thinking critically about mobile games, and maybe that’s the niche they fill for most people. Is that wrong? I’m sure no one would discredit the POTUS just because he liked the latest Expendables movie. The man’s got a stressful job; he’s allowed to zone out once in a while. Maybe it’s legitimate to criticize clones and “easy” (or “baby”) mobile games as being cheap or immoral, but they have a place in the market and that place is not small: match-three games are all probably based off some old card game but people eat them up like crazy. I will say that I feel guilty about liking 2048 better than Threes but damn if I don’t want to just zone out when I’m sitting on the toilet after getting home from work on a Monday with the crushing weight of the rest of the week hovering over me. *weird, that link now just leads to the co-creator’s website…he basically just talks about how he doesn’t like that there’s clones, but that’s life. I have a lot of fledgling opinions about things like video games. I also like teaching myself stuff.